Born in 1964, Manu Riche started his career in theatre. He then made a move to television documentary and was an early contributor to the ‘cinéma vérité’ documentary magazine “Strip-Tease ” produced by Belgian TV channel RTBF. During the nineties he worked on several independent films in co-production with European public broadcasters. In 2002/3 he explored the relationship between fiction and documentary in two major films on Belgian personalities, King Baudouin 1st and Georges Simenon (co-written by Steve Hawes). He is the initiator, producer and director of “Hoge Bomen” (“High Trees”) a documentary collection commissioned by Belgian public TV Channels VRT and RTBF. The films are portraying the mighty from their pedestals. 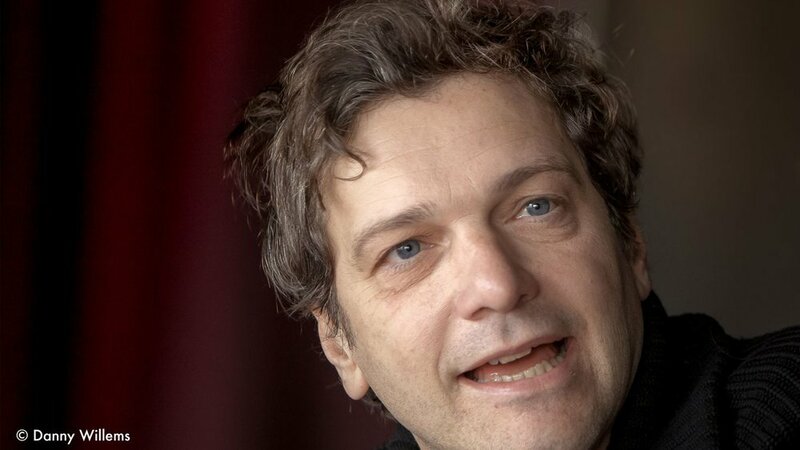 Manu Riche made his widely acclaimed theatre directorial debut in February 2012, when he directed actor Josse De Pauw in “Raymond” by Thomas Gunzig at the KVS. His film, “Snake Dance” co-directed with Patrick Marnham, premièred at the Kaaitheater in Brussels in April 2012, and is still touring festivals around the world. Snake Dance won the Grand Prix de l’humanité in Nyon Switzerland. He created Trial About Fake with the Kunstenfestivaldesarts in 2015. A performance/documentary project about Chinese artist Ai WeiWei Tax-evasion trial. His first fiction film “Problemski Hotel”, based on the novel by Dimitri Verhulst, was released in January 2016 and has won several prizes. He is currently working on the documentary series 'Palais Royal' : ‘The Killers’, De bende Van Nijvel, Les Tueries Du Brabant, release is planned in 2018.